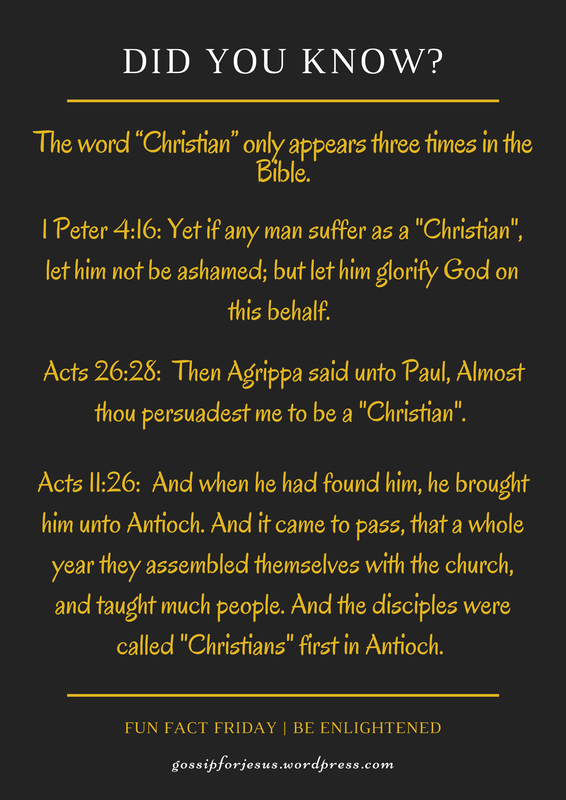 “Christian” appears only 3 times in The Bible! We use the word “Christian” a lot to identify with Jesus and His teachings but did you know it only appears 3 times, (Yes! that’s right, only THREE times!!) in the Bible? Have a Wonderful weekend everyone! God bless you! ← Can Christians Smoke and Drink?